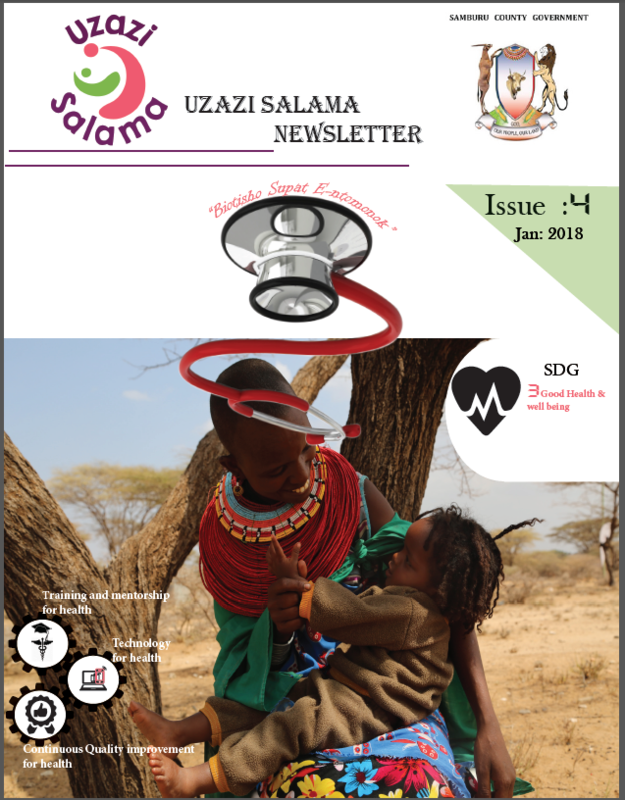 Uzazi Salama is a Kiswahili word that means better and safe maternal and child health. 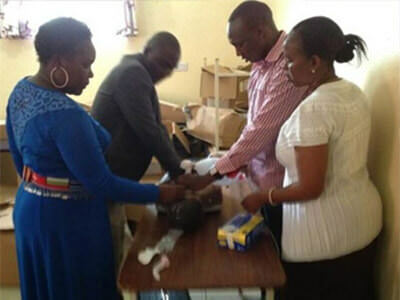 The project aims at improving access to better maternal and child services in Samburu County, in Kenya. 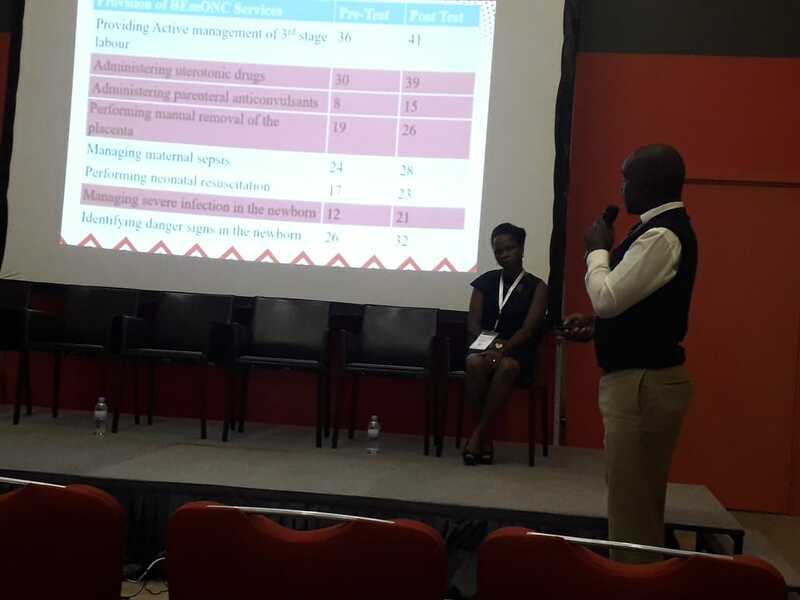 Through a very comprehensive model, Amref Health Africa through the Institute of Capacity Development, PharmAccess and the County Government of Samburu, through funding from MPESA Foundation, have used an innovative model to improve the MNCH indicators in the county. The project, which started as a pilot in 2013, caters for both the demand and supply needs using a four tier innovative model. The four tiers are community education, quality improvement, demand-side financing and health worker training. The project uses the concept of technology for development to achieve its objectives. This years Africa Health Agenda international Conference was held between the 5th and 7th of March in Kigali- Rwanda. In a setup braced by over 1500 delegates from across the globe convening to the theme “Action to Achieve Universal Health Coverage in Africa”, Uzazi salama took part by showcasing some of our work, … Continue reading "The globe knows about us"
The project is investing in building and equipping a newborn unit in Samburu county referral hospital. This is as an effort to further enhance the quality of services provided towards improving maternal and newborn child health in the county. Above this, 3 new borehole resources will also be drilled and equipped in Wamba, … Continue reading "Staying true to the course"
Samburu County First Lady Lily Lenolkulal led women in the county in commemorating Mother’s Day on 14 May 2018 in Wamba, Samburu County, Kenya. 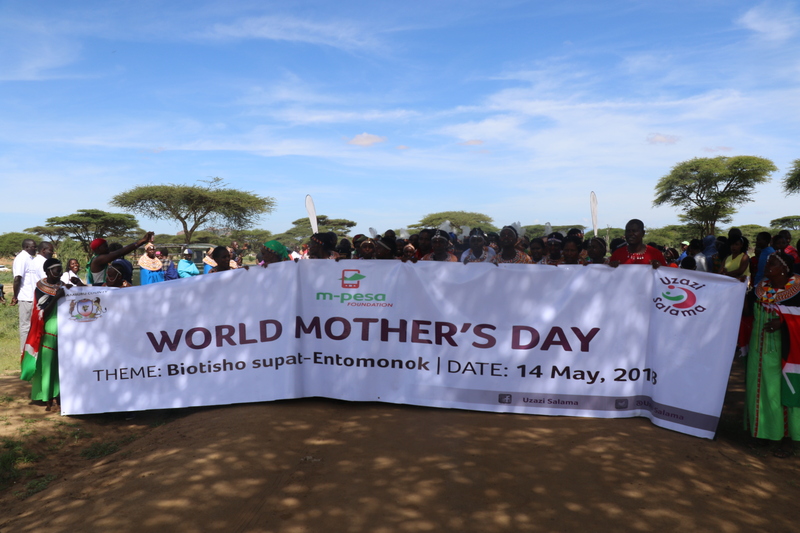 Several members of the county government were also present in the event that was facilitated by Amref Health Africa’s Institute of Capacity Development, Amref Health Africa in Kenya, and PharmAccess Organization, … Continue reading "Uzazi Salama commemorates Mother’s Day in Wamba, Samburu East, Kenya"
Several months ago, Washington Omuya, the in-charge of Angata Nanyukie Dispensary in Samburu County, Kenya, was doing all he could to save the life of a mother suffering from birth related complications. “The mother had delivered at home, and the family got worried when she did not stop bleeding,” Washington recalls. When the Community Health Volunteers (CHVs) called him, Washington got into his ambulance and drove to the household, which is about five (5) kilometres from the facility. Upon arrival, Washington examined both mother and baby and confirmed that the baby was healthy. He turned his attention to the mother. After a close examination, Washington realised that the mother was suffering from Post-Partum Haemorrage (PPH). The PPH was in itself caused by a retained placenta. They got into the ambulance and rushed to the dispensary where the mother was admitted. 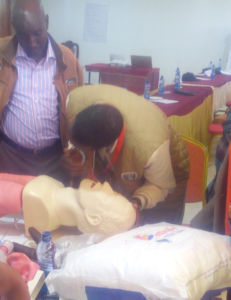 “I had already been trained through the Uzazi Salama project, on Basic Emergency Obstetric and Newborn Care (BEmONC), so I was well equipped on handling the emergency,” confirms Washington. Washington started the mother on normal saline and oxytocin to try and expel the placenta. Despite this, he still had to insert his hand into the womb and manually remove the placenta. “I remember it disintegrating in my hands. I had never seen anything like it,” he recalls. 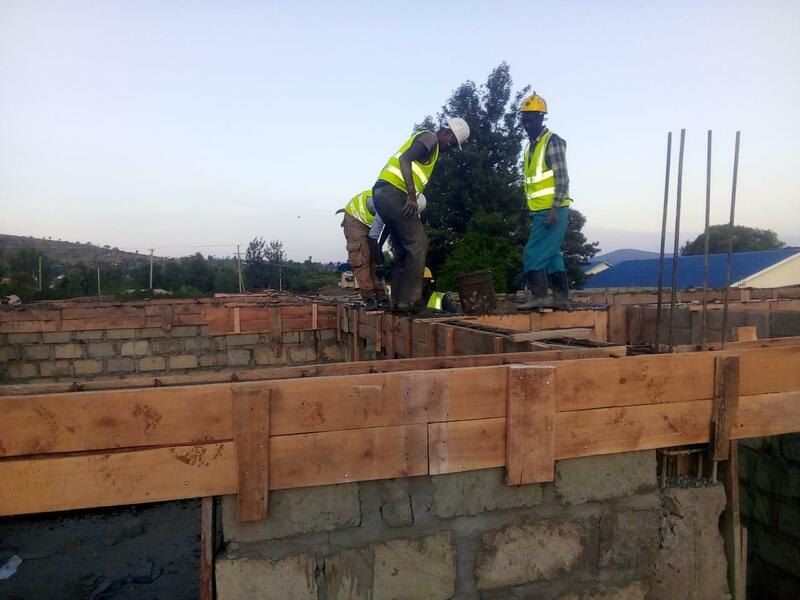 To Washington, the training he received through the Uzazi Salama project equipped him with both the skill and the confidence to tackle birth related complications. Washington admits that the battle to ensure women deliver in health facilities is far from over. “The home delivery cases at Angata Nanyukie are mainly due to challenges associated with getting to the health facility. The terrains are not easy, and women have to walk long distances to get to the facility. 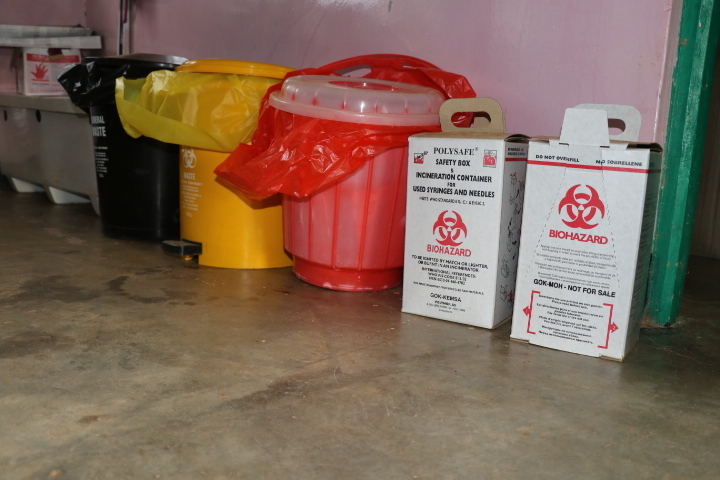 However, many now understand the importance of delivering in the facility due to the sensitisation and community health education they get from the CHVs,” the in-charge confirms.